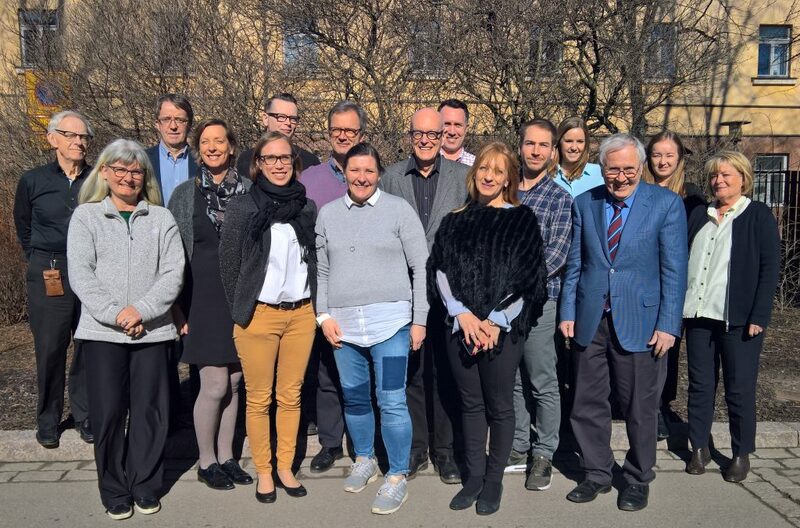 The first project meeting was held in Helsinki, at the Finnish funding agency Swedish School of Social Science at the University of Helsinki, Finland from the 22nd of March to the 24th of March 2017. Day one of the project meeting started with an introductory visit to the Finnish Funding Agency for Technology and Innovation (TEKES). The visit lso included an introdution to other innovation agencies from Sweden, Norway and Denmark. Day two of the project meeting was held at the Swedish School of Social Science at the University of Helsinki. The day included presentations revolving around three specific themes related to capacities for innovation and change namely: renewal in a public sector setting (Förnyelse i offentlig sektor – en introduktion), undertaking challenges (Att ta sig an utmaningar – projekt som förändrings och innovationsverktyg), the significance of context (Kontextens betydelse), as well as the ability to absorb experiances from project driven work (Att tillgodogöra sig erfarenheter av projektdrivet förnyelsearbete). The final day included discussions about comparative analysis as well as the possibilities for future new research proposals. The next project meeting will be held in Stockholm, Sweden from the 16th to the 18th of October 2017. This entry was posted in Yleinen on 26.5.2017 by C A Sebastian Godenhjelm. Thank you for your question. You can find more answers to your question in the section about the project´s overarching research questions (see http://blogs.helsinki.fi/inno-nord/research-questions/), or in the section where the researchers and partners are presented (http://blogs.helsinki.fi/inno-nord/researchers-and-partners/), where abstracts of the different approaches in relation to innovations are presented.